Unwanted guests are never fun, especially when you can’t ask them to leave. Luckily, Mission Canyon pest control companies have no problem kicking them out. Whether there’s a rodent in your basement or insects in the attic, call your local Mission Canyon exterminator to take care of them — do not try to wrangle them out yourself! Not sure which type of home pest control service in Mission Canyon, CA can tackle your issue? Read profiles and ask about their past experiences to get a good idea. Santa Barbara's safest live bee removal. We specialize in rescuing and removing bees from any and all locations with utmost care for the bees. Focus on honey bees in Southern Santa Barbara County including Goleta, Santa Barbara, Montecito, Summerland, and Carpinteria. 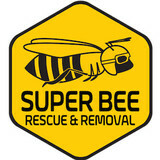 Assist with bee removals in Ojai and Ventura. Also provide consulting services with for all thing bee related including home visits, prevention programs, honey harvest, apiary design, experiential learning and bee tours, local organic pollination and green business integration. Services start at $150. Spray Rataway Fragrance, to protect wiring, homes, engines, cars, farm machinery, ductwork, attic insulation, homes, business, motor homes, pex waterlines, use on rats, mice, squirrels, rabbits safe around childern and pets, sold worldwide. Your property is a valuable investment. It is important to protect that investment when it comes to termites and other destructive insects, rodents and pests. Our company takes pride in providing you with an effective and professional job every time. With years of experience and education, we are able to provide your property with the best possible treatment and protection. Our pest supervisors and clean out technicians are experts in pests, bees, and exclusion of rodents and birds. If you are on monthly or regular service, you will have the same route technician each month. This enables the technician to really get to know you and your needs. Our termite crew is able to treat termites and repair damage to your structure caused by termites. Our company trucks are equipped with the latest tools, application devices, materials, and supplies to enhance service and customer communication. We take pride in our services that we offer and go that extra mile to ensure you get what you pay for. So-Cal Pest Control The Pest Control Experts of Santa Barbara County So-Cal Pest Control in Santa Barbara exterminates rats,mice,gophers, and moles. We provide pest control for the communities of Carpinteria, Montecito, Santa Barbara and Goleta. 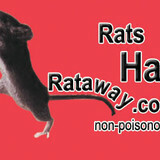 Our experience every day, is dedicated to rodent control in the pest control world. Rats, mice, gophers and moles as well as live animals like Raccoons, Skunks and Opossum, are pest that require professional experience in order to get rid of and So-Cal Pest Control has that experience. We have been solving rodent infestation problems since 1999. So-Cal Pest Control of Santa Barbara provides rat and mouse pest control which includes, rat and mouse trapping, rodent proofing, rat and mice bait station services and rodent feces clean-up. We are your full service rat and mouse killer company. So-Cal Pest Control of Santa Barbara’s gopher and mole pest control services include getting rid of initial gopher and mole problems, gopher and mole mound removal, and ongoing preventative plans when needed. 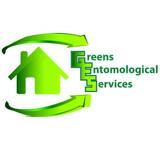 Our services are superior to gardeners and other pest control companies due to our experience and licensing which allows us to use the most effective products in the industry. We don’t spread our experience out among a wide array of different pests like insects. We only work to solve these rodent problems. 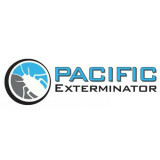 If you want to get rid of your rats, mice, gophers, and moles, then call So-Cal Pest Control. Kurt & Kyle Pest Control is a family owned and operated business with more than 35 years of experience in providing Ventura, CA with comprehensive and lasting solutions to all types of pest problems. We offer full preventative programs as well as effective elimination treatments that can help solve your problems. As Ojai pest control specialists since1981, Ojai Termite & Pest Control's team of professional pest control specialists has toiled to meet the growing demand in pest control services, both from residential and commercial clients. Ojai Termite & Pest Control is proud to have grown into the premiere pest control company in and around Ojai, CA. At Ojai Termite & Pest Control, our pest control specialists understand how unsettling and unnerving the discovery of a pest infestation issue can be. No one wants to face the grim reality of having rats, cockroaches or termites running around inside their walls, professional kitchen or, for that matter, anywhere they consider home or work. Ignoring the problem will not make it go away, and this is why Ojai Termite & Pest Control's Ojai pest control specialists are dedicated to offering as much information about pests as possible, so that you know what you are up against and can relax, knowing that our pest control specialists from Ojai Termite & Pest Control have a solution to your unfortunate pest control problem. Family owned & Operated Termite and Pest Control company that has been around since 1942. 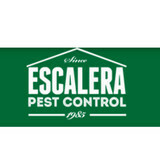 Serving our local homes, offices & neighborhoods for their pest control needs. Offering great deals for our local friends who are fans of our site! AllGuard offers the best method in pest control with over 15 years of proven success; the perimeter treatment method. This allows pest management professionals to target insects at their source while keeping pesticides primarily outside the home or business! It also provides the home or business owner the added benefit of not having to leave the home or office while the treatment is being performed, saving our customers time and money. We're passionate about delivering an exceptional pest control experience. Economical Pest Control is a licensed, bonded, privately owned and operated pest control service performing approval inspections on residential and commercial structures in Ventura, CA. We specialize in detecting evidence of wood destruction and wood contamination resulting from insects, rodents, water damage, and fungus damage.